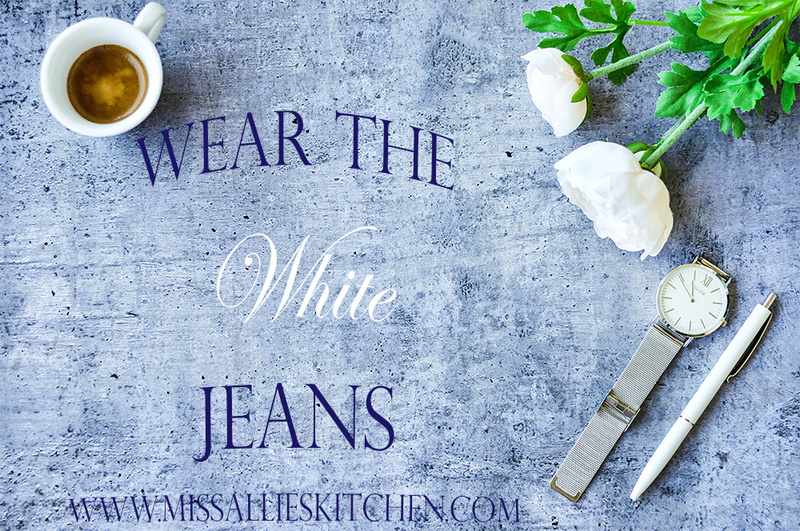 On wearing the dreaded WHITE JEANS & finding ways to love ourselves where we are. This post is kind of difficult to write. Contrary to popular belief, blogging is actually HARD work. I do so much research on ways to reach and please all of you guys at home. Bloggers are constantly told to create content that connects them to their readers. To help you identify with us. To help you know more about us. To show that there’s more to us than almond butter, coconut flour, and chia seeds. You know what? That’s actually really SCARY. I was always kind of an odd duck growing up and I still carry the mentality that no one wants to listen to my ideas, or what I do or say isn’t cool enough. It’s easy to fall into the trap of thinking the words on my web page fall short. Or that they aren’t as good as the others’ around me. Even though we’re constantly warned against playing the comparison game. The first memory I have of comparing myself to other’s was on the school bus. Wearing shorts. And I noticed that my legs were thicker than the little girl’s next to me. I don’t even think I was 10 years old. Isn’t that sad? I’ve never suffered from an eating disorder. But I know I have and do battle with spells of low body confidence. Have you been there, too? I STRUGGLE with finding the balance of reaching my goals and with perfectionism. 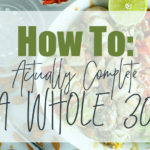 I think it’s healthy to aspire to reach a certain fitness level and to fill your body with mainly good-for-you foods. But you know what I sometimes find myself doing? Holding my current self back because I’m not where I want to be. I ask myself (and embarrassingly so, sometimes other people) questions like “Are my hips too wide to wear these bathing suit bottoms?”, “Do I have too much underarm fat to pull off that strapless dress?” “Is my vibe chic enough to rock those boyfriend jeans?”. Isn’t that ridiculous? Have you been there, too? I am always all for bettering myself physically, mentally and spiritually. But at what point does this need to give a little? Self-love is not something I do well. I say these things not to evoke any kind of pity or compliment. I’m saying it because it is something I need to realize. And maybe you do, too. And maybe you’ll find that you have a friend in me, no matter who you are. Or what stage you are in your wellness journey. Or what age you are. Or what you look like. Or really anything. If this speaks to you, I’m with you. Do you struggle with this, too? I’m telling you that it’s time to stop worrying if our thighs are small enough and to just WEAR THOSE DANG WHITE JEANS. I spent most of the summer avoiding mine. I’ll admit it. They are probably the piece of clothing that I feel most vulnerable in. But I really like them! Do you know what I finally said to myself the other week? WEAR ‘EM. And. I. Did. I lived to tell the tale. And I’m telling all of you that it’s actually great to want better for yourself (as long as you get there in a healthy way). But, we can’t pretend like who we are now isn’t enough. You are enough. And you CAN rock those white jeans (even AFTER Labor Day). Allie, I feel ya, girl. I’m the same way. Some days I love everything about myself, and other days I can be so critical. When it comes to self-love, I’ve heard someone say, If you wouldn’t say it to a friend, why would you think it about yourself? Thanks for sharing! Oh! I love that! Its so funny, when your friends say something negative, you can never see it! Thank you for sharing that girl. I can completely relate. I often feel like I blog for myself and that no one other than my family will read my posts. I also find it really hard to share personal information about myself online…but mostly because I don’t want people I know to read about that stuff! Body image/confidence is something I definitely struggle with too, and something I think a lot of women do. Thanks for this post. Haha I FEEL YOU girl! You’re like: “should I post this? Is anyone even out there?” I think your blog is great, and I think you should keep writing. Thank you for the support!!!! !